The NASA Biological Diversity and Ecological Forecasting programs support basic and applied research as part of NASA’s Earth Science Division. 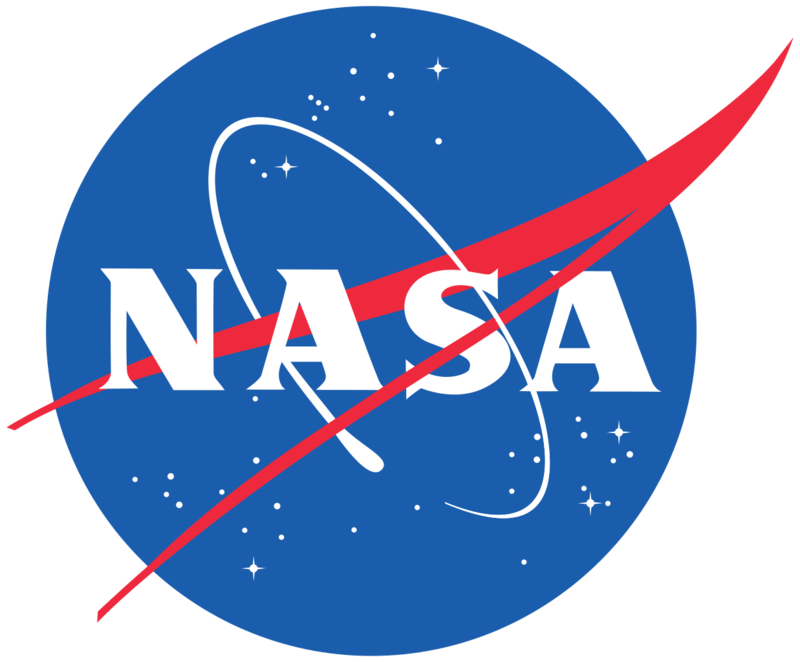 View and search NASA funded projects with descriptions of the research and list of Publications. View information on upcoming meetings and links to past meeting agendas with presentations when available. Information on NASA funding opportunities provided. 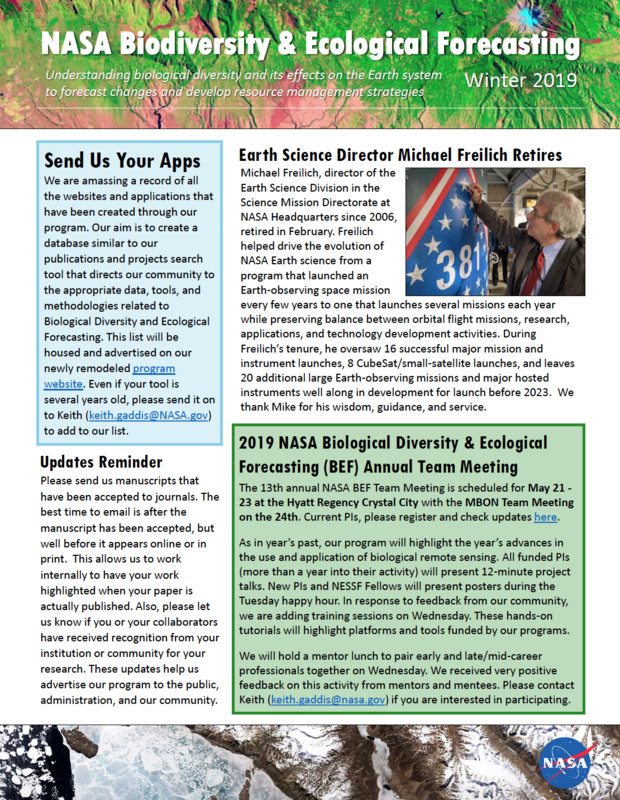 Proposal Due: April 16, 2019 Biological Diversity and Ecological Forecasting community input requested by January 14, 2019 NASA’s graduate student research solicitation is now called Future Investigators in NASA Earth and Space Science and Technology (FINESST). Proposals Due: March 11, 2019 17 projects selected for “Sustaining Living Systems in a Time of Climate Variability and Change” (Oct, 2018) Project Search Tool! New Funding Opportunity: National Oceanographic Partnership Program (NOPP) Broad Agency Announcement (BAA): Topic 2 - Sustained observations of marine biodiversity for improved understanding of marine ecosystem responses to changing environmental conditions.